An important announcement regarding the future of VESL’s volunteer programme from Ian Livingstone, VESL’s CEO. Some of you may already be aware that Lauren Pluss, our Programme Manager and sole full-time employee, will be leaving VESL at the end of April and moving to a new job. We have therefore been required to re-evaluate how the charity is run and what activities we are able to carry through 2014 and take forward into 2015 and beyond. Firstly, I would like to stress that we remain fully committed to sending and supporting all those volunteers already signed up to projects between now and December of this year. From the beginning of May we will be returning to the organisational structure we used prior to September 2012, before we had a full-time staff member. This will see me continue to work for VESL one day per week in an admin capacity within the UK, in addition to the ongoing support of our local in-country managers and volunteer co-ordinators overseas. Prior to taking on a full-time staff member in September 2012, VESL was run in the UK by Tom Harrison and I in a part-time capacity. Things were very much a group effort and, then as now, we relied on the support of a group of dedicated past volunteers to help run selection events and training sessions and to help when things got busy. At that time, Tom and I were able to step up involvement where required as we were both self-employed and could vary our external commitments where needed. Unfortunately neither Tom nor I are in a position to step in to run things in that capacity any longer. VESL has always attempted to run its programme using the lowest fundraising targets it could achieve so that the opportunity to participate was open to as many people as possible. Although an admirable policy, this approach has not generated sufficient surplus funds to allow the charity to repeat the process of hiring a new full-time Programme Manager or to embark on the task of training that person. Whilst it was an extremely difficult decision to have to make, given these facts, the Board of Trustees have decided that we will not be able to repeat our volunteer programme beyond 2014. So many individuals have invested such a lot of time and energy into the programme since it began in Sri Lanka back in 2003 and this will be very sad news for all concerned, however, it is a necessary decision given our position and one that we feel could not be avoided. The long term future of the charity itself has yet to be decided. The Trustees are keen to explore the possibility of becoming an educational grant giving body, able to support a small number of educational projects through partner organisations and a review of VESL’s ability to take on this new structure will be made later in the year. 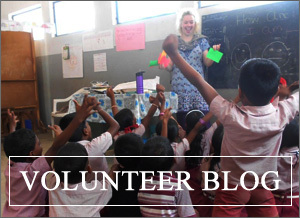 One thing is absolutely certain – we all wish to see our volunteers make a success of their projects in 2014 and wish to see the positive reputation, that VESL’s past volunteers worked so hard to create, endure in the minds of those pupils and teachers we have had the pleasure of working with. We hope that this final year’s volunteers will feel the same and will help us embrace that challenge to make 2014 a year we can all feel proud of. We would like to take the opportunity to recognise the invaluable contribution of each and every one of our volunteers from over a decade of projects. The dedication and commitment shown has truly been an inspiration to us all. Special thanks must go to all those past volunteers who have repeatedly helped us run selection and training events for new volunteers, with an extra special thanks going to Kath McGuire who has been, without question, our most dedicated past volunteer, co-ordinator, representative and supporter. Special thanks must be directed towards all our local representatives and in-country managers who have been instrumental in the setting up of new projects and the success of our programmes across Sri Lanka, Andhra Pradesh, Kerala and Northern Thailand. In Sri Lanka these key figures include Mr. Rajiva Wijesinha, Mrs. Suwanitha Senanayake, Mr. Vasantha Senanayake, The Vasantha Senanayake Foundation, Mr. Ian Wijewardena, Mr. Prasad, Mr. Desapriya and Mrs. Dasanayake. Mr. Gunaratne and Mr. Wijesuriya. There are so many others who deserve mention, running back to 2003, that we are unable to list everyone here and must apologise to those we have omitted here. Special thanks must go to Mr. & Mrs. Heather & Cyril Mundy, without whose avid support VESL would never have existed and from whose home we planned our very first project to Marassana and from where VESL first gained a name. In Andhra Pradesh we would like to thank Bharavi, Sugati and Abhilash for their unwavering enthusiasm and positivity in the face of all kinds of obstacles. In Kerala we would like to thank Dr. Johnson Jament and his family who have tirelessly supported our volunteers through thick and thin. In Thailand we would like to thank Mr. Nueng Yanarangsee for the invaluable dedication, kindness and understanding shown to all our volunteers. I would also like to thank Tom Harrison, Emma Sykes, Sophie Harrison and Mags Feardon (VESL other founding volunteers), and to Anna Watt, Adrian Hayes, Clara Hebblethwaite and Gail Craig (all current or past Trustees). Special thanks must go to Lauren Pluss, without whose dedication and hard work VESL could not have functioned these last few years and we must wish Lauren the very best of luck into the future. We would also like to thank the schools, teachers and students at all the projects we have worked with over the years for being so supportive and accepting of our volunteers and to each and every host family for welcoming volunteers into their homes and for sharing their family life so readily. Your generosity is so very much appreciated by us all. There are so many other people I would like to have been able to name – please accept my sincere apologies for not being able to give everyone a mention. Finally, an exceptionally big thank you must go to all those who have helped contribute to our volunteers’ fundraising targets and without whose donations the charity could not have functioned. On behalf of the Board of Trustees.